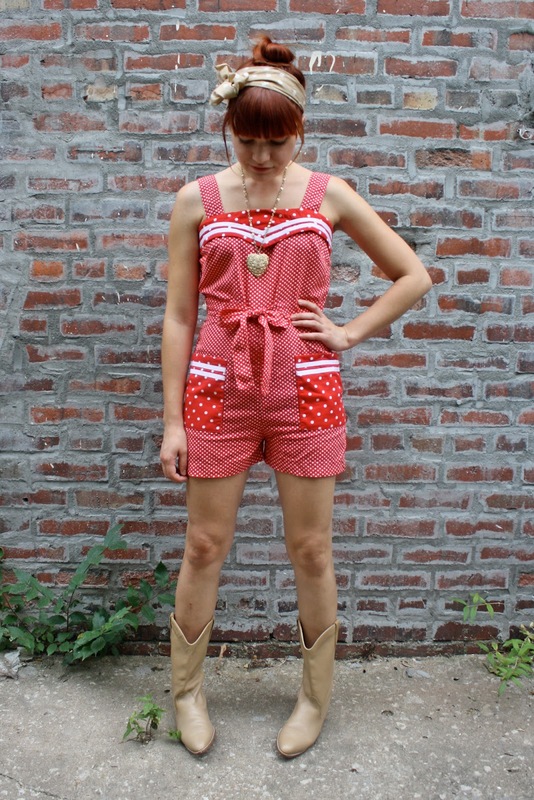 This little dotted romper is a piece I spent very little time deciding whether to purchase. It was too cute and quirky to resist, and vintage that fits just right always feels meant to be. I'm usually not one to wear boots with summer outfits. 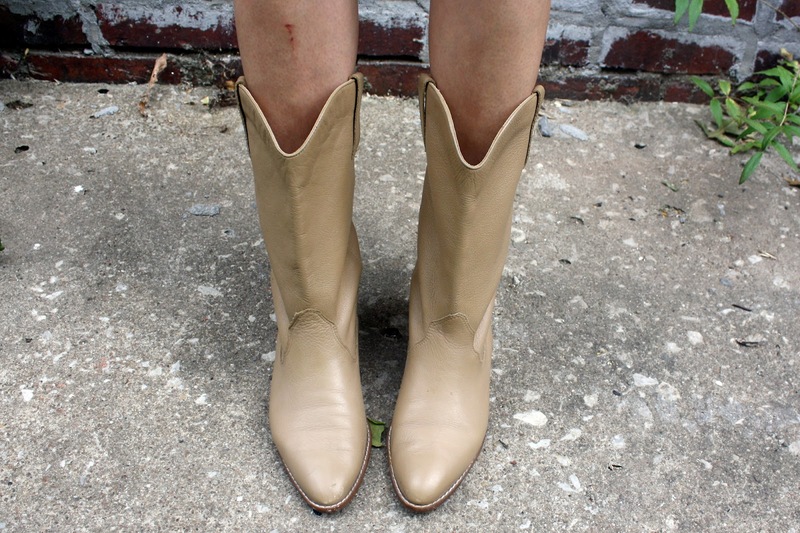 While I think it often looks great, when it's too hot to wear boots, I can't bring myself to sacrifice comfort for style. Today's weather allowed for it, and I thought they were the perfect finishing touch for a carefree, casual outfit. You look so adorable! 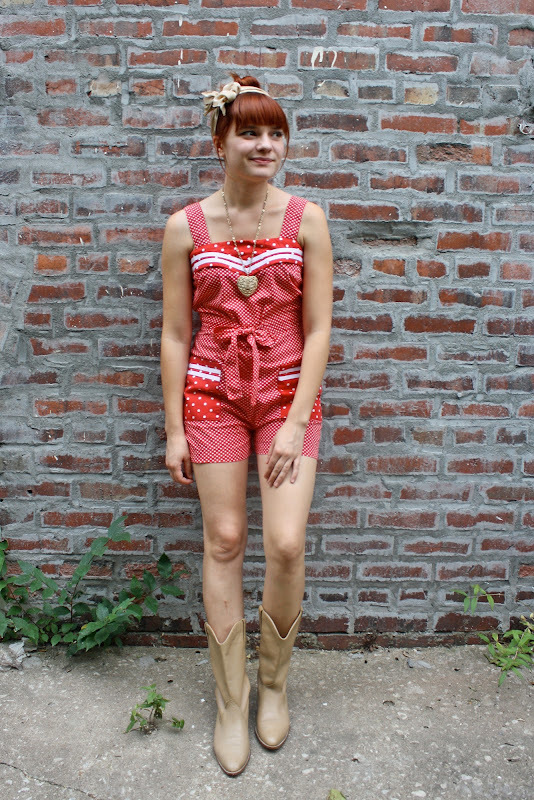 That romper is the cutest thing. I love the fun mix of dots on it. 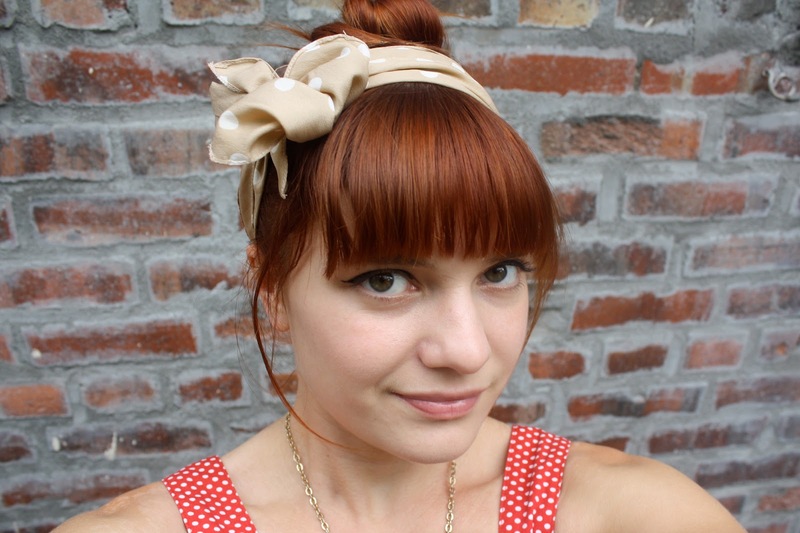 The dotted scarf in your hair was a great addition too. So many dots; I love it! This is totally Strawberry Shortcake goes Country. ;) You look ADORABLE! 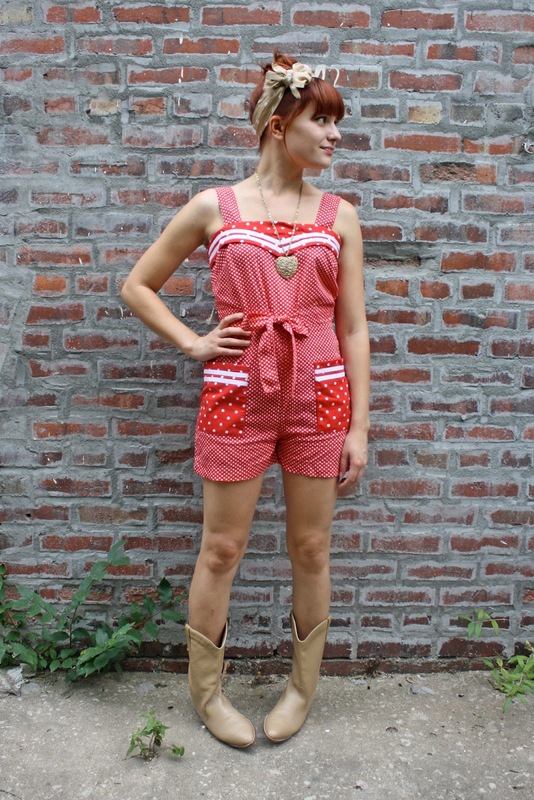 I love that little red romper. Too bad its vintage, I can't snag me one. Also super plus amazing points for wearing it with boots. SO cute , it's unreal!